Thursday’s LBM Expo lineup continues to get even better. The Boston Red Sox will be joining the 125th Anniversary Celebration on Thursday, Feb. 7. 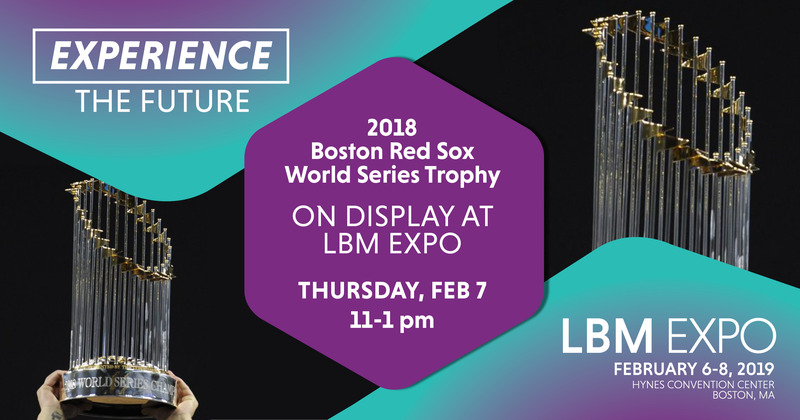 From 11AM-1PM, the Boston Red Sox 2018 World Series Trophy will be on display on the show floor. Register for your badge today, then stop by to see the trophy the World Champion Red Sox hoisted this Fall.